I am so ready for spring! The warmer weather, the spring showers, and the rainbows are some of my favorite things. 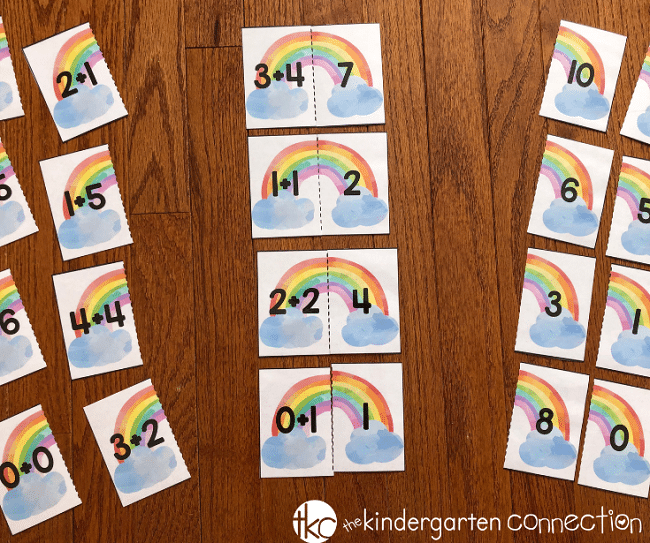 My daughter absolutely loves rainbows so we have been doing as many rainbow activities as we can because they bring her so much joy. 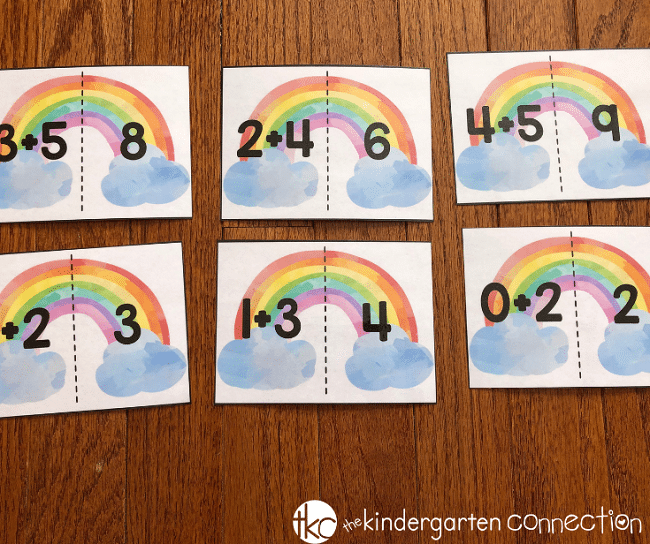 These Rainbow Addition Puzzles are perfect for practicing addition facts and are super colorful for spring. 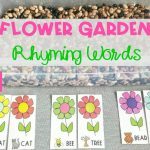 We will be using these as part of our morning basket activities throughout March and April. My daughter is so excited for these and she cannot wait until I switch out our basket activities. Did I mention she loves rainbows? 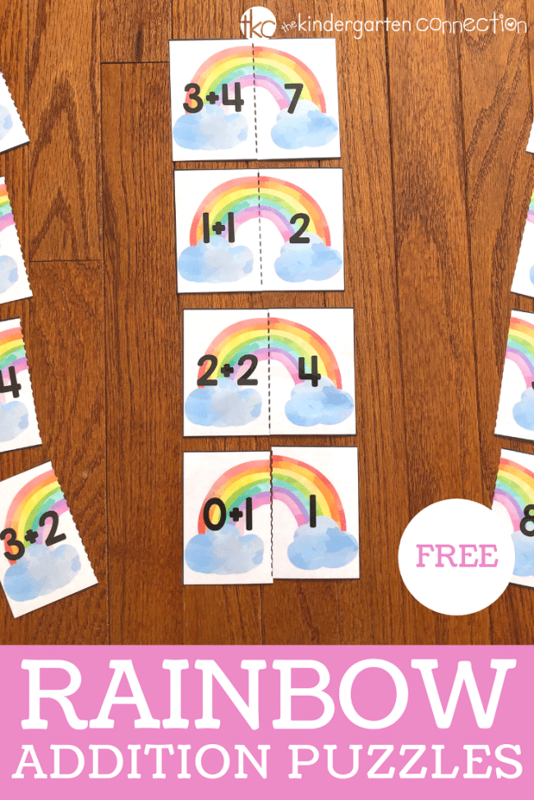 These rainbow addition puzzles are perfect for a math center in the home or classroom and are very simple to set up. 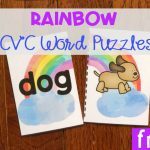 Simply print, laminate, and cut out around the whole puzzle. 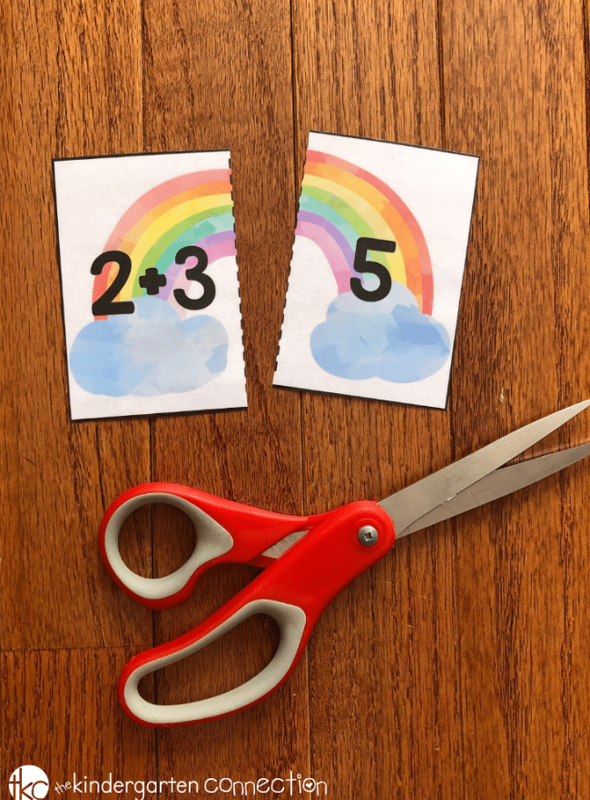 Then cut them down the center of the card along the dotted line so you have two pieces. 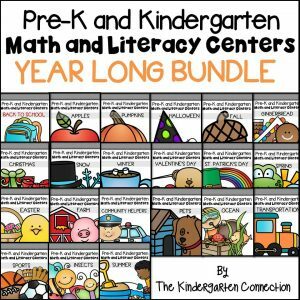 This free set includes 21 puzzles that cover sums up to 10. 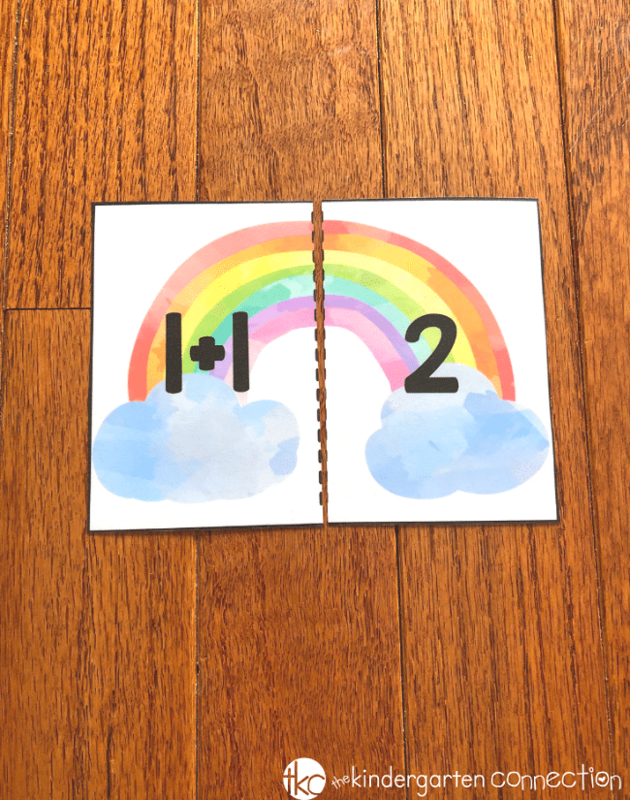 There are two different puzzles for each sum. Students will pick a puzzle of their choice and then find the corresponding puzzle piece with the sum. 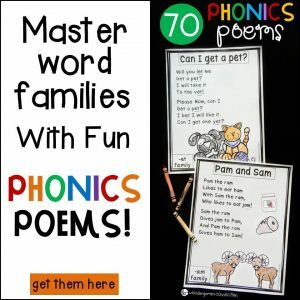 Continue matching the other puzzles together until they have all been matched. 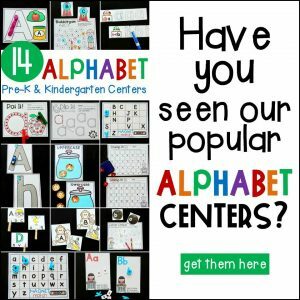 You can give students all 21 puzzles at one time and have them match them together or you can start them off with a smaller group. 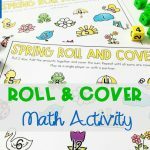 Once all of the puzzles are matched, write the full equations on a piece of paper to practice writing full addition problems. 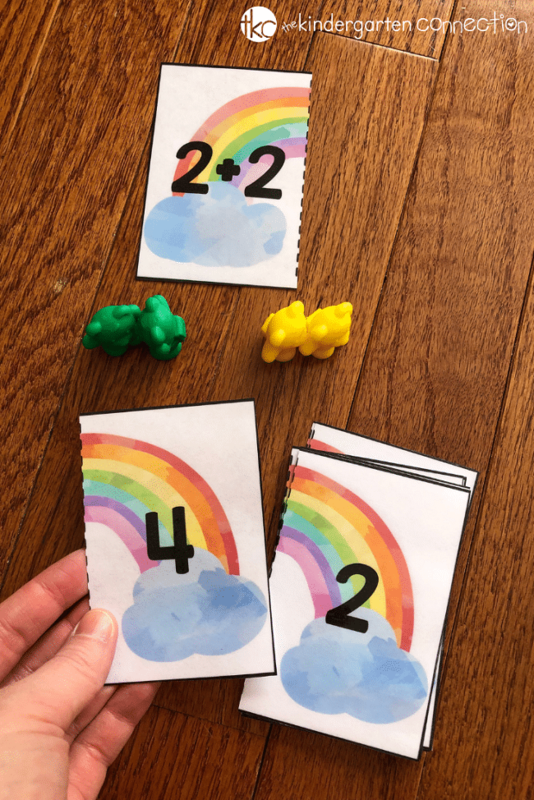 Helpful Tip: Provide students with number lines and/or colorful manipulatives to help them work out the addition problems. Write out more addition problems for the sums to 10. Use stickers to show the different addition problems. Ready to practice adding this spring? 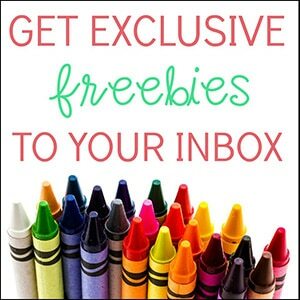 Grab your copy of the Rainbow Addition Puzzles by clicking the large, yellow button below! 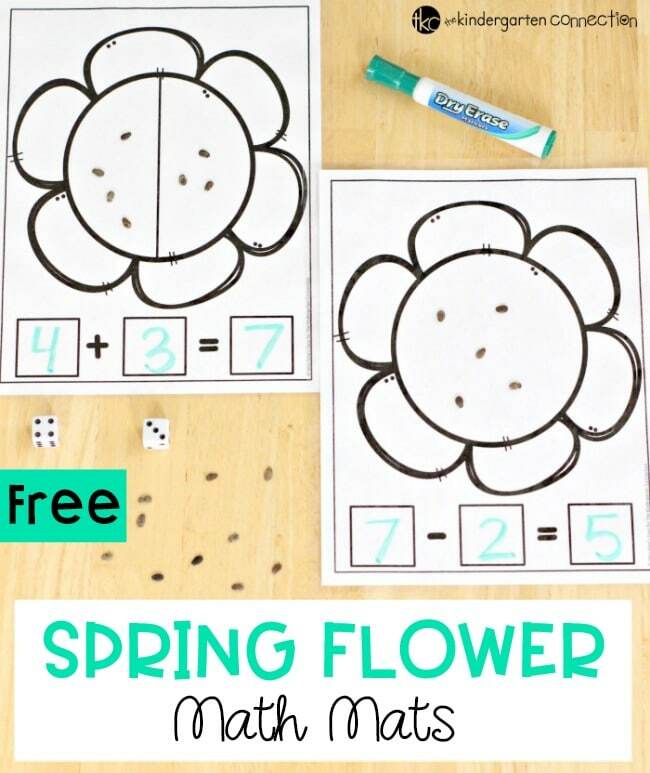 Then, hop on over to see our Spring Flower Math Mats!